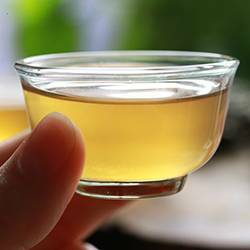 White tea is one of the six types of tea produced from the leaves and leaf buds of Camellia sinensis, the tea plant. 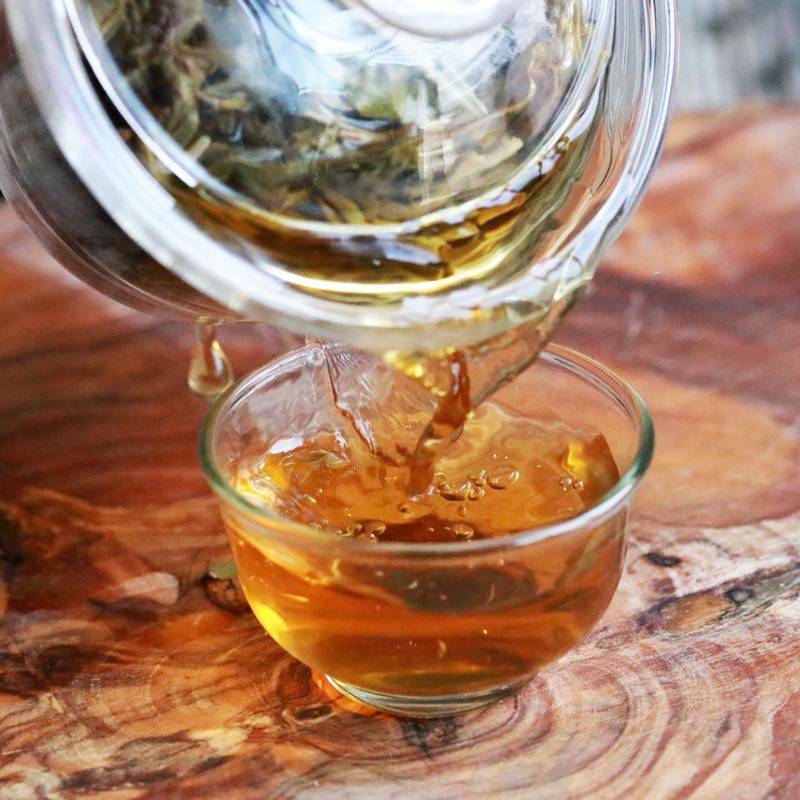 White teas are considered to be the most delicate and exquisite, with very subtle, but refined flavors. They lack those sharp grassy notes that can often be found in green teas. White teas are lightly oxidized teas. White tea is processed in the most natural way possible. Its manufacturing includes only two steps, WITHERING and DRYING. 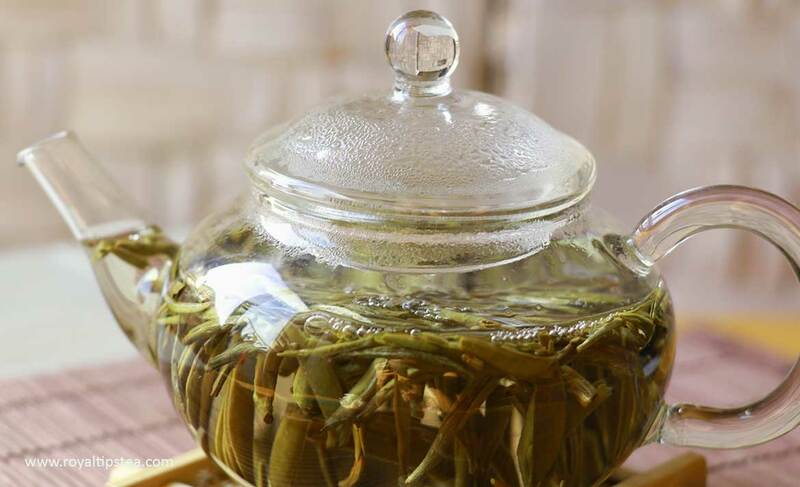 As it is not de-enzymed like green tea, the buds and young leaf shoots of the tea plant plucked for white tea production are handled with great care in order not to damage their structure and so avoid oxidation. The withering stage happens in shady sunlight and indoors until the moisture is reduced inside the tea leaf and various aromatic compounds start to form. During withering the tea leaves start to oxidize slightly and the oxidation will continue until the leaves are dried, maintaining their natural form. Therefore white teas are considered lightly oxidized teas. Deceptively simple, the process of white tea manufacturing requires, in fact, a great deal of knowledge and skill. The timing is crucial as well as the weather conditions and strict control of air, humidity and temperature during the production stages. If the withering takes too long or is too short a time, this will result in a lower quality tea, affecting adversely both its taste and health properties. White tea originally comes from Fujian Province in China and is nowadays manufactured in several of China’s tea growing regions, with limited quantities being also produced in India, Sri Lanka and elsewhere. The Chinese varietal Da Bai (Big White), discovered in the 19th century and specifically used for the production of white teas, contributed to their fame and , at the same time, brought economic benefit to two counties of Fujian province - Zhenghe and Fuding, famous for the most exquisite white teas. The thick unopened buds of the Da Bai varietal are white in appearance due to the fact that they are covered with the finest silvery-white down. This is where the name “white tea” comes from. When infused, they deliver a light, fragrant, almost transparent liquor. There are four grades of Chinese loose leaf white tea, Bai Hao Yin Zhen (Silver Needle), Bai Mu Dan (White Peony), Gong Mei (Tribute Eyebrow) and Shou Mei (Lifetime Eyebrow). 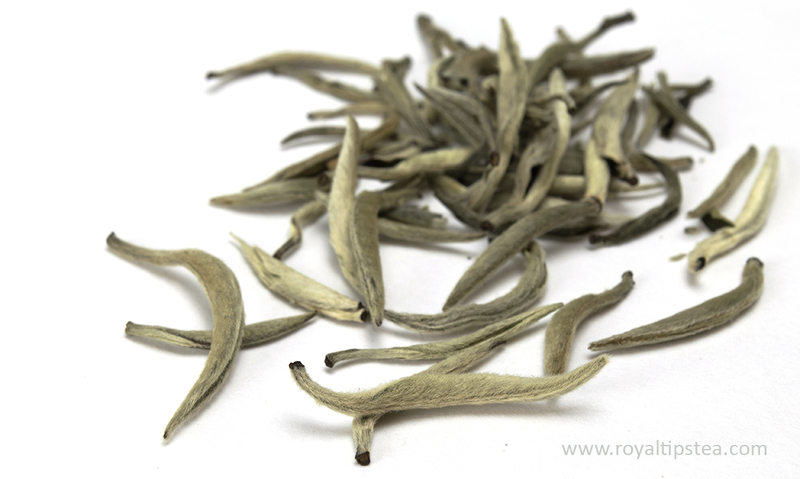 White tea produced in Sri Lanka is commercialized under the name of “Silver Tips”. White teas, especially those made of the highest grade tea buds and young leaves, are also very rich in amino-acids and catechins, powerful antioxidants naturally present in the tea plant. Some studies reveal that the overall level of antioxidants in some white teas is even higher than in green teas, making white tea a good alternative for those who are looking for the beneficial effects of drinking tea, but have not yet been able to find their favorites amongst green teas. 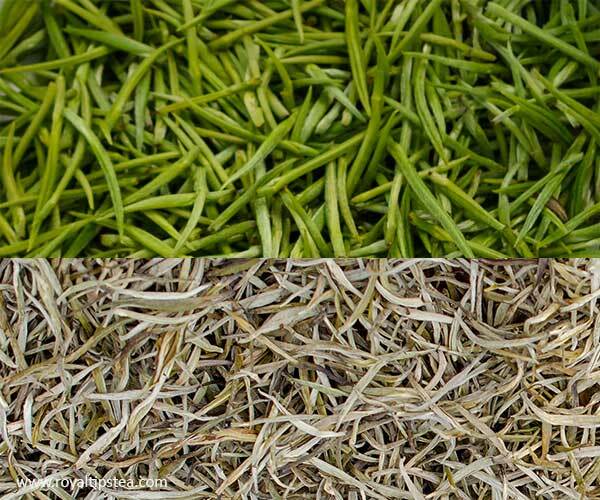 Silver Needle is the most sought after white tea, which consists of only buds, also called tips. 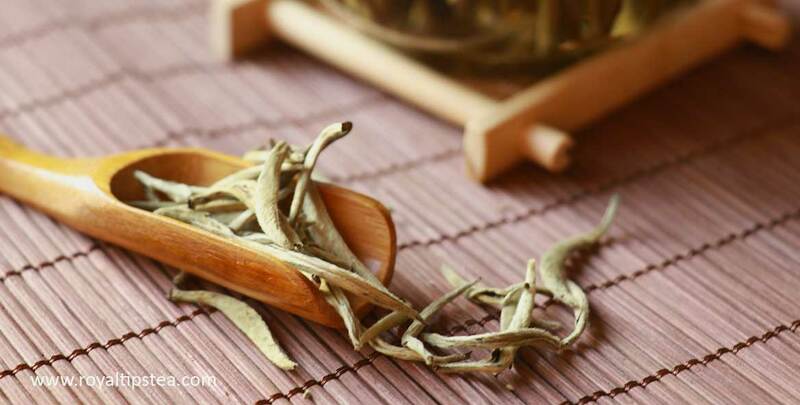 Due to the high level of amino acids and catechins contained in white tea buds, they carry a variety of health benefits, such as high antioxidant levels, protection of the heart and blood vessels, and the strengthening of the immune system.